If you are on the hunt for a new barbecue, the REC TEC Grills Bullseye is an option you definitely want to take a closer look at. If you like the taste of wood or charcoal grilling, but the convenience of a gas grill, this bad boy might just be right for you. While it might not quite match up to the REC TEC Wood Pellet Grill or a premium smoker grill combo, it can certainly hold its own. Plus, it’s modern, it’s stylish, and it works like a charm. With all the convenience of a gas grill with the big flavor of charcoal, the state of the art REC TEC Grills Bullseye is one of the best in its class. 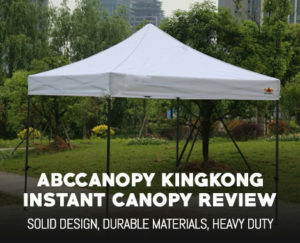 With a really durable build, lots of cooking space, awesome performance, and total ease of use, you really can’t go wrong. Let’s take a closer look at the features and benefits that the Bullseye brings to your backyard barbecue. There are quite a few features and neat benefits that you get with the REC TEC Bullseye grill, so you might want to put the wings in the fridge while you hear this. It’s great for hamburgers, hot dogs, steaks, veggies, and everything in between! Without a shadow of a doubt, the best thing about the REC TEC Bullseye is that it brings you the convenience of cooking with gas, but still provides you with that awesome charcoal grill flavor. This incredible pellet grill burns real wood pellets which gives you that smoky flavor, but also uses a simple ignition system to light them right away, much like a propane BBQ. As you’d expect, cooking with wood pellets is nearly effortless. Turning it on, barbecuing, and setting the temperature are all made easy, just like a regular gas barbecue, but you still get that great real wood taste. Something that we personally like about the wood pellets is that they burn very clean and produce much less emissions than coal. At the same time, these wood pellets do not produce very much ash, which is always convenient because nobody likes cleaning ash out of a grill before or after that juicy steak has been eaten. You can use the simple ignition button to turn it on, the user friendly dial to set the temperature, and you’re good to go. Having a temperature dial on a wood burning barbecue is basically unheard of, so this is definitely really cool. The REC TEC can be set anywhere from 200 to 550 degrees Fahrenheit, so whether you want to go low and slow or some high speed cooking, it can do it all. To measure the temperature, the REC TEC Grills Bullseye comes with an easy to read dome thermometer. It’s placed at the ideal location on the dome for the most accurate readings. Never again will you put the steak on when the grill is still too cold, plus it’s in the right place, making it easy to see with a quick glance. What is also pretty cool is that the HotFlash ceramic ignition system instantly lights the pellets ablaze, allowing the REC TEC Grills Bullseye to get up to full temperature in as little as 10 minutes. 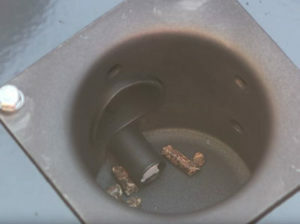 The hopper can fit 15 pounds of wood pellets for over 15 hours of cooking time, plus they feed in automatically as the pellets in use burn away, which is always really convenient. Simply open the lid of the hopper and pour in more pellets once your supply has been used up. Automatic pellet auger and ingitionOn a side note, the hopper comes with a secure latching system to make sure the pellets stay exactly where they are supposed to. Don’t worry about airflow while grilling because the REC TEC Grills Bullseye comes with an air circulation fan for a constant supply of oxygen to easily maintain precise temperatures. We love the compact size of REC TEC Grills Bullseye. Now, it is not meant for massive parties and family reunions, but for a group of 5, 6, or 7 people, it will definitely do just fine. In terms of the cooking surface, it can fit around 25 full hamburger patties, which is actually quite impressive. 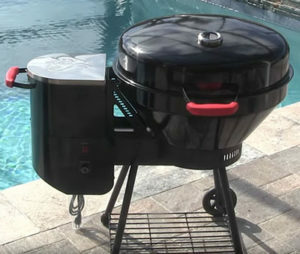 Additional it’s the perfect addition to an outdoor kitchen as it allows for unique slow smoked BBQ. It’s not the biggest or heaviest barbecue, which means that moving it around is made fairly easy. Plus, it comes with wheels so you can quickly roll it into position. Getting it into the garage when it starts to rain definitely won’t be an issue. High quality porcelain enamel finish. In our opinion, one of the most impressive parts of the REC TEC Grills Bullseye is its durable build. The exterior of this grill features a robust baked on porcelain enamel finish, which is about as good as it gets for any barbecue of this kind. It is known for being extremely resistant to all kinds of damage, especially thermal stress, chipping, cracking, splintering, and all of that fun stuff. The REC TEC Grills Bullseye itself is made of very rugged metal, but so are other barbecues. The real winner here is the baked on enamel finish. The interior of this BBQ also features a porcelain enamel coated cooking chamber. Not only is this very durable, but it also helps to retain a whole lot of heat for an effective and efficient cooking chamber. You’ll find, the porcelain coated cooking grate provides you with awesome sear marks, and your food won’t stick to it either. Speaking of the build, we also like how the REC TEC Grills Bullseye comes with a nifty little storage tray below the cooking chamber. You can store cooking utensils, food, and other items on this tray, which is pretty convenient if you ask us. The bottom line here is that while the REC TEC Grills Bullseye might be a little on the pricey side of things, it definitely provides for some of the best BBQ we have seen so far. 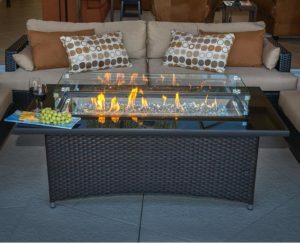 The fact that you get the convenience of power ignition with temperature control, while still having the flavor of a real wood burning barbecue is just awesome. 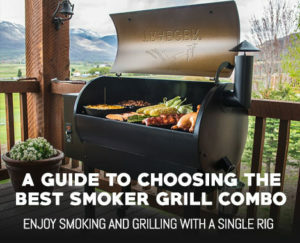 If you’re looking for a more tradition option, you might instead want to check out our article on smoker grill combos.